Among the thousands of people who crisscross the popular City Market in Indianapolis, very few are aware that just beneath their feet are miles of interconnected tunnels, constructed more than a hundred years ago. The largest historic preservation organization in the United States. The City Market is a historic destination for fresh groceries and produce, now just as popular for lunching business people and residents thanks to the many cafes and delis speckled throughout. Less evident to visitors is its long history as a market — dating back to the late 1880s, when the catacombs were built. Tunneled beneath the city streets with limestone and brick archways, the catacombs were used to transport and store meats and produce to be sold in the market before the days of refrigeration. The 20,000 square-foot subterranean area stayed cooler than the streets above, so they were used to help preserve food for the entire market overnight, waiting to be brought back aboveground the next day. 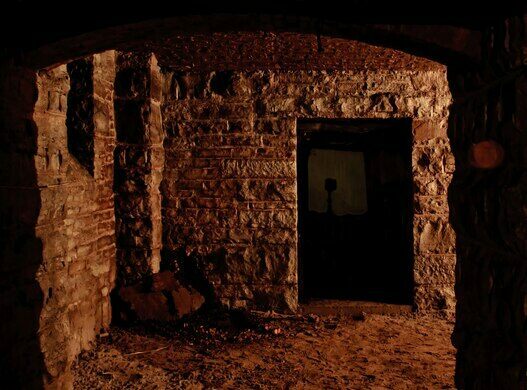 More than a century later, many parts of the catacombs remain remarkably intact, while others are crumbling to their limestone foundations. 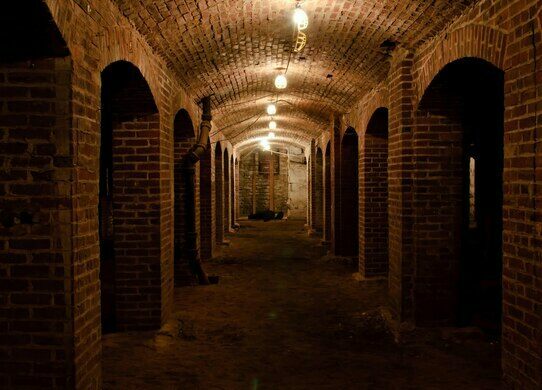 Thanks to the preservation of the City Market, the Indianapolis catacombs are one of only a dozen or so catacomb sites that still exist in America. They’re not easy to access, but there are a few entry points. In the market itself, you’ll need to know who to ask — they are not open to the public, and visitors needs to schedule an appointment with a good reason to go down into the labyrinthine basement. But the future is looking brighter for those who are simply curious about what’s down there. The owners of the City Market are beginning to see the catacombs as an untapped resource, and more and more tours and events are scheduled for the location. The caretakers are generally more agreeable in the autumn, when the heat dies down and the catacombs are intermittently opened to tours, artists, and even Halloween events. This stately clubhouse has showcased German-American culture for over a century.